Prominent & Leading Manufacturer from Bengaluru, we offer roti tawa, roti tawa ssh, dosa tawa and roti tawa bh. As one of the leading entity of this domain, we are engrossed in providing supreme quality Roti Tawa. This tawa is equipped a handle that provides perfect grip while frying. The tawa is round in shape that helps in filling a large quantity into it. Aluminium body and fine finish makes the guest attracted towards the warm food kept inside. Apart from this, clients can avail this tawa from us at nominal rates yet in bulk quantity. Within the short time period, we are engaged in presenting an excellent grade of Roti Tawa SSH. The tawa SSH is manufactured using aluminium metal using modem technology under the supervision of our skilled professionals. We also adhere to the industry standards during the fabrication of tawa SSH. The tawa SSH is used in eateries, restaurants, parties and hotels. We are successfully ranked amongst the trustworthy entities offering a wide range of Dosa Tawa. This tawa finds wide applications in eateries, restaurants, parties and hotels. 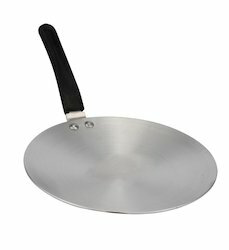 The offered tawa is equipped with a handle for perfect grip. Besides this, the chafing tawa can be made available in bulk for the clients at reasonable prices. Owing to the expertise of our team of experienced professionals, we are able to introduce an exclusive range of Roti Tawa BH. 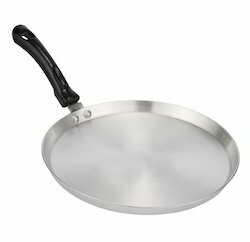 This tawa BH is efficient in observance of the food warm and seems attractive due to superior metallic finish. Also, tawa BH is widely demanded from eateries, restaurants, parties and hotels. We made this tawa BH available for clients in bulk at affordable rates. 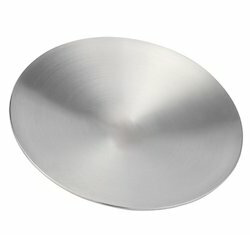 Looking for “Macclite Mirror Finish Tawa”?